QI'd like to confirm my reservation? APlease confirm it over a reservation reconfirmation page or a telephone. When a reservation is not made, Reservation is not completed. Please make a reservation again.Confirmation, the cancellation of the reservation on the Internet is this. QHow do I cancel my reservation? APlease apply cancellation from the cancellation screen or the telephone above. QHow long is the reservation possible? AThere is not the period in particular. Please contact us by phone or internet, e-mail. Reservation from the homepage→A lodging plan page is this place. The inquiry from an email is this. ※Please do not hesitate to contact us if you need a quotation, such as group reservation, long term accommodation. QHow long does it take cancellation fee? AThe cancellation fee becomes the application of the street of follows. QWhat time is check-in and check-out time? ACheck-in is possible from 13:00. And check out is possible until 12 o'clock. Maximum, you can stay slowly for 23 hours. When checking in after 18:00, please be sure to inform us. QIs it possible to leave my luggage before arriving and after departure? QCan you make a receipt with a company name? AThat's just fine. Please contact the reception staff. QI'd like to change the expected arrival time of the day, what should I do? APlease contact us by phone. QHow does the payment method turn out? In addition, what is available?? AVarious credit cards are available cash. QDo you have pick up service? AThere is a transfer service to JR Kaga Onsen Station. [Pick up service from the station to the Shikitei] I will operate according to the arrival time at Kaga Onsen Station.13:00-18:00. [Pick up service from the Sikitei to the station] Pick up service from the Shikitei to the station runs every 30 minutes from 8:00. Pick-up service departing from the inn at 12:00 will be the last. In case of using a taxi from JR Kaga Onsen Station it takes about 15 minutes. The taxi fare will be approximately 2000 yen. There is no pick up service to Komatsu Airport. Please refer to the access method described below,or please contact us. It's about half an hour to the Sikitei by taxi. The fare is about 7000 yen. QIs there the parking lot? AWe are preparing for free. Come once to entrance. We'll keep the your car. QIs the correspondence such as an allergy, the vegetarian possible? APlease consult 3 days in advance. We will correspond. Consultation of the day can not correspond, please understand. 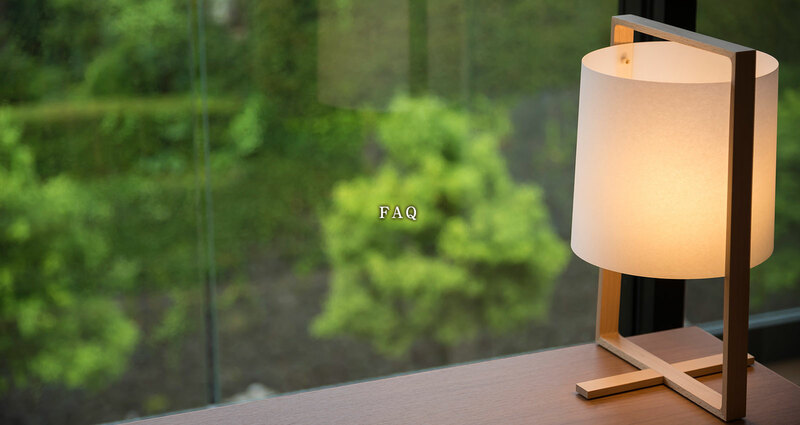 ※In the case of large consecutive holidays such as holidays, we may ask you to consult by 7 days in advance. Also, wheat allergy can not correspond. QIs there the non-smoking room? 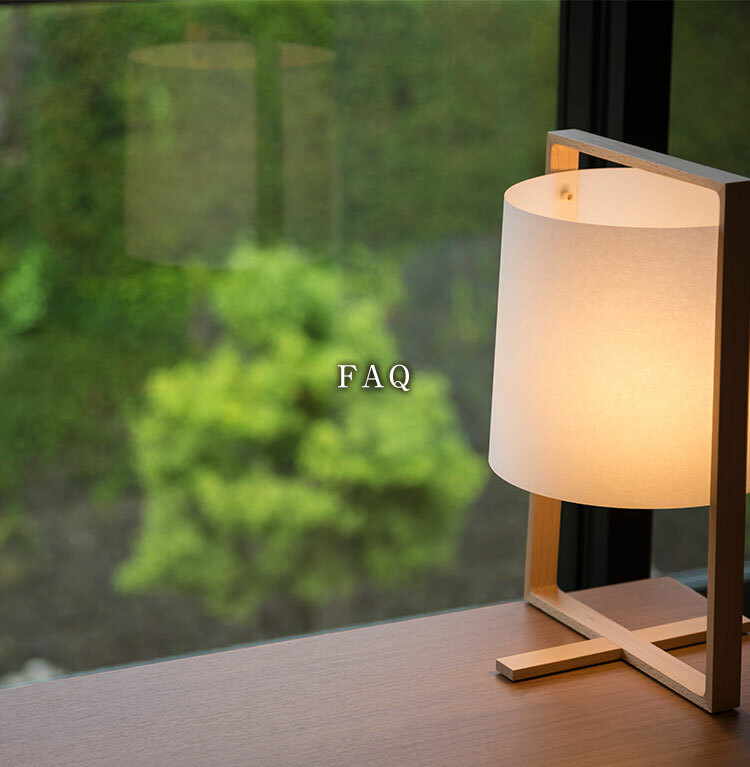 A" Kodaimurasaki " guest room and " New Hinoki Observatory Guest room with outdoor bath　Dining " which I founded in September, 2017 are all non-smoking rooms. The other rooms are basically smoking rooms. In the case of non-smoking room hope, I will deodorize the room. QIs it possible to change breakfast to western style meal? AIt becomes the basic sum set meal. Customers wishing for western style meal please contact us by 18 o'clock the previous day. AThere are two types, General massage and Ayurveda formula relaxation esthetics. In the reservation of the day, we may not be able to accommodate your request. 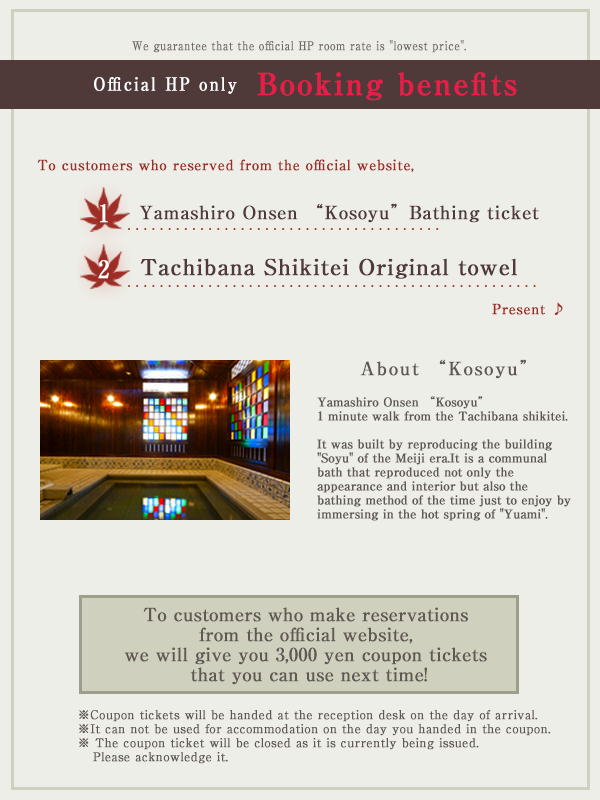 We recommend you to make a reservation in advance. QIs the order for hall cake, bouquet possible? AWe will prepare according to the budget if you can contact us in advance such as budget. QCan I use a wheel chair in the hotel? AWe prepare a wheelchair dedicated to the inside of the hall. Although we inform you that the inside of the hall is barrier-free, but there are places with steps. ( Part of in the hall and part of the room). QIn which place can you eat meals? AAll the meals become the preparation in the guest room. Depending on the number of people and contents, we will prepare it at the banquet hall. However, there are only three banquet halls, so it may be difficult depending on the situation on the day. QCould you prepare a chair or a table? AWe can prepare. There is the high seat chair (approximately 10cm in height), too. I prepare from the arrival of the visitor if I hear beforehand. QPlease tell me about the big bath and room with outdoor bath. AThe public bath [Open-air bath], 100% pure hot spring with thick texture. But I add water for temperature control because the temperature of the source becomes 62 degrees. For "The large public bath " and "Room with Open-air bath", we are using the source, but because of "Hygiene management" and "Temperature control", circulating filtration is carried out.